Looking for more than a golf getaway? 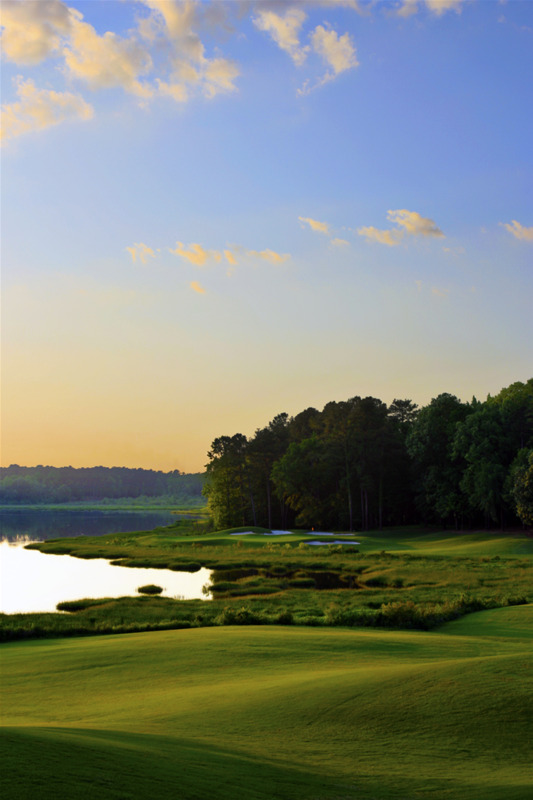 Visit Auburn–Opelika and enjoy a weekend of golf, local food and drinks all steeped in tradition. The Auburn-Opelika area is home to five different golf courses, a brewery, a distillery, many local dining options, and Auburn University, more than enough to keep you and your family entertained for the weekend. Opelika is home to Grand National, which is part of the Robert Trent Jones trail. 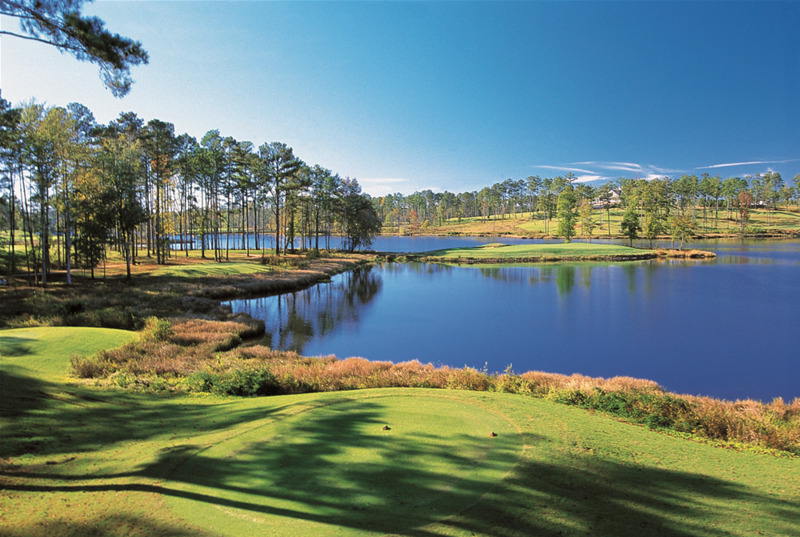 The 600-acre course sits on Lake Saugahatchee with 32 of the 54 holes along its shores. There are three 18-hole courses available at Grand National: The Lake Course, Links Course, and Short Course. The Links and Lake course were in the top 10 of Golf Digest’s list of “America’s Top 50 Affordable Courses”. All three courses are listed on Golf Digest’s “Places to Play” among the nation’s 40 Super Value courses. Grand National has hosted the Barbasol Championship as well as a multitude of tournaments on its various courses. Suitable for all levels of golfers, this course and its amenities offer a great day of golf for anyone. Originally created to attract golfers to Alabama, one key element missing from the property was an upscale spa and fitness center. The Spat at Grand National opened in 2018. With RTJ golf, multiple pools, tennis, pickleball, and a new spa facility plus the many offerings at Auburn University, the Auburn-Opelika Marriott is a regional and national destination. The 20,000-square-foot world-class spa offers a wide selection of signature massages featuring Himalayan salt stones, holistic facials, and unique body treatments. 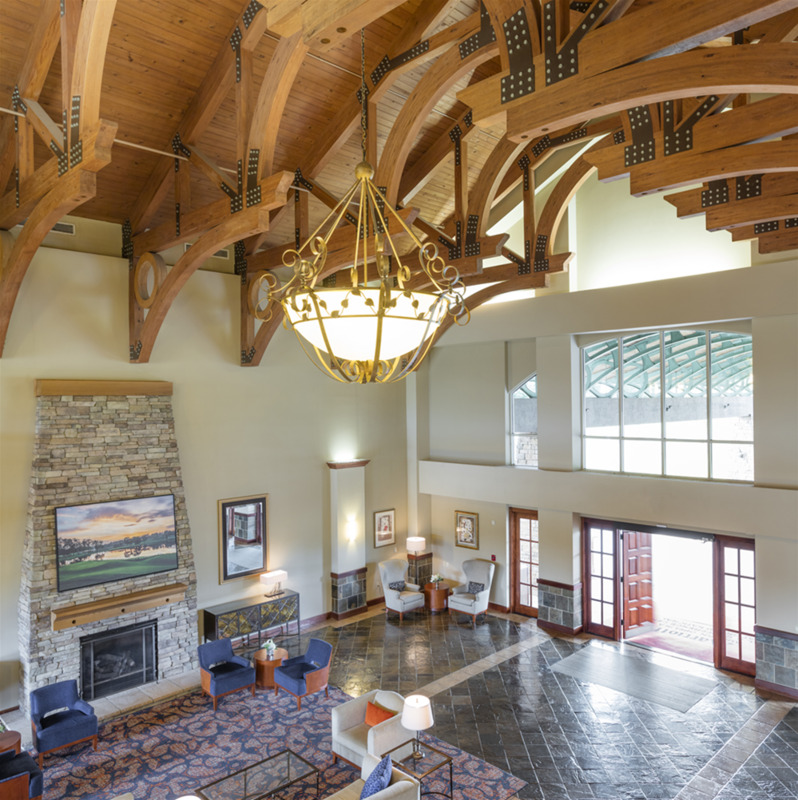 Sitting adjacent to the lodge inspired Auburn/Opelika Marriott resort, the three-level spa and fitness center provides guests and the neighboring community a first-class wellness facility. The outside flora and fauna weave into the interior, and the decor is inspired by the naturally occurring elements of the “Earth, Water, Air and Fire” found in the natural surroundings of the Alabama landscape. In addition to golf, Opelika is one of the few cities in Alabama that has a distillery. Stop by for a drink at The John Emerald Distilling Company. It’s located in downtown Opelika and provides taste tests, facility tours, as well as craft cocktails! The tasting room is always open and tours are available to book on their website. The John Emerald Distillery features various spirits, including single malt whiskey, rum, gin, and vodka. If beer is your thing The Red Clay Brewing Company is right next door, offering a brewery and taproom. “Red clay” is native to this region of the South, where all of the founders of the company were born and raised. Their various beers feature a multitude of flavorings including sweet potato and peppercorn. After a long day on the course, you’ll be hungry. If you’re looking for an award-winning meal, look no further than Acre, home to Iron Chef Showdown winner David Bancroft. Come dine on a large front porch in the shade during the day for a brunch filled with chicken-fried bacon or shrimp and grits. Sit outside in the evenings by the hearth-style fireplace and enjoy a cocktail and order from the local, seasonal selections. The restaurant is located in the downtown Auburn area and is available for reservations. A weekend in Auburn-Opelika would not be complete without a trip to Toomer’s Corner. Toomer’s Drug Store is named after longtime owner Sheldon Toomer and is known for their famous lemonade. Toomer’s is listed in Southern Living’s “100 Things to Do Before You Die.” In addition to an amazing atmosphere and great lemonade, Toomer’s Corner is located right on the edge of campus, close to Samford Hall, one of the most notable buildings at Auburn University. Wrap up the weekend with a lemonade and enjoy a walk on Samford Lawn! For more information please contact info@aotourism.com.